LONDON – Liverpool beat Tottenham Hotspur 2-1 at Wembley on Saturday to post a fifth consecutive win at the start of the season for the first time since 1990-91 and banish the memory of last year’s London mauling by Mauricio Pochettino’s side. 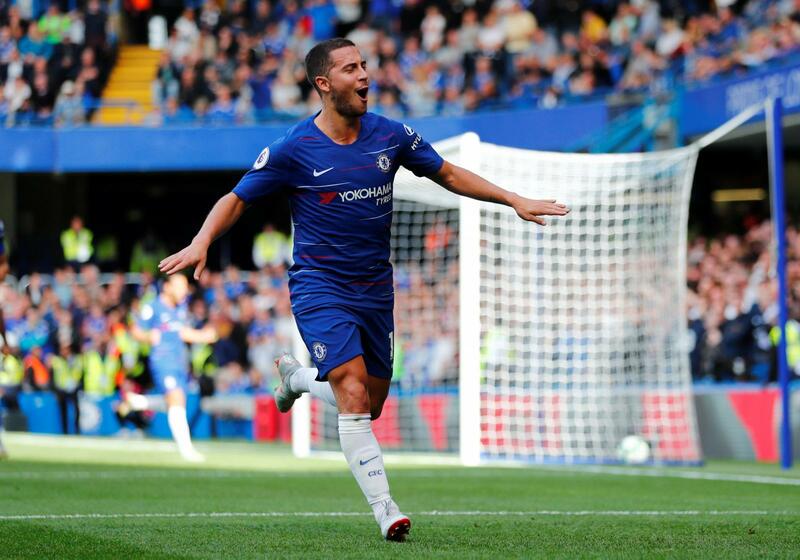 Chelsea, though, have also recorded a perfect start after Eden Hazard scored a hat-trick in the 4-1 win over Cardiff City, allowing them to edge past Liverpool on goal difference at the top of the Premier League. Watford will join the early leaders on 15 points if they beat Manchester United later on Saturday. Liverpool’s goals came from Georginio Wijnaldum — his first away from home in the Premier League — and Roberto Firmino, who later went off with an eye injury. Such was the visitors’ dominance, they could have had six with Mo Salah twice going close and Tottenham’s defence always looking vulnerable until Erik Lamela’s late strike gave hope of an unlikely point. But Liverpool held their nerve and look nothing like the team who Spurs ripped apart 4-1 last season. 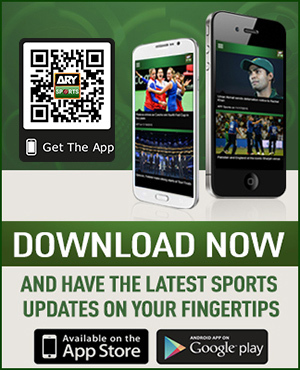 “We have to show progress,” said Juergen Klopp, who said the performance was Liverpool’s best of the season. At Stamford Bridge Chelsea ran out comfortable winners despite conceding a 16th-minute Sol Bamba opener. That was the cue for Hazard to take charge, scoring on 37, 44 and 80 minutes, the last goal coming from the penalty spot. Willian added their fourth late on to ensure Chelsea’s goal difference is marginally better than Liverpool’s at the top. Champions Manchester City remain two points off the pace after a routine 3-0 win over Fulham, who fell behind on two minutes to Leroy Sane and never looked capable of forcing their way back into the game. 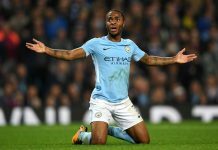 David Silva and Raheem Sterling also netted. Bournemouth sprang the surprise of the day, beating Leicester City 4-2. It was a performance to back up manager Eddie Howe’s pre-match assertion that his side, who have won three of their first five games, have closed the gap on the division’s top teams. The match was effectively over before the break, with Ryan Fraser scoring twice and Josh King adding a third from the penalty spot. Adam Smith made it 4-0 before James Maddison and Marc Albrighton replied late on. Leicester’s miserable afternoon was compounded by Wes Morgan’s 69th-minute dismissal — his first in four years — for a second yellow card offence. 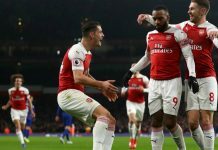 Arsenal provided further signs that they have put their jittery start behind them by winning 2-1 at Newcastle United, who now have just one point from five games. Granit Xhaka’s excellent free kick opened the scoring with Mesut Ozil ensuring Arsenal won consecutive away league games for the first time since May 2017. In the day’s other game, Roy Hodgson celebrated the first anniversary of his appointment as Crystal Palace manager with a 1-0 win at Huddersfield Town. The scorer, predictably enough, was Wilfried Zaha, who marked his return from injury with a marvellous solo effort.